The effects of not considering SEO activities and SEO ranking during a website redesign can haunt your business for quite a duration. Just think – all the hard work you put into boosting the traffic to your website and pushing up your web rankings will be gone, just because you or your team forgot to consider SEO during the website revamp! So here are a few important pointers that will enable you to enjoy the best of both worlds – a brand new website, and your SEO ranking coupled with strong, organic traffic. Chances are that when you redesign your website, URLs will change; if they do, search engines need to be notified about the whereabouts of those older URLs. If this step is missed, search engines will index the changed URLs as new pages, and on not being able to locate the older URLs, will wipe out the latter’s rankings. This means a drop in traffic, sales and eventually, revenues. Performing an SEO crawl will give you a clear picture of your site’s architecture, including metadata and URLs. Use tools such as Screaming Frog (paid) and Moz Crawl for best results. Do not forget to crawl any subdomains. When you change your URL structure, you risk losing precious inbound links that are crucial in building your SEO ranking. Performing an inbound link analysis gives you greater clarity into your website’s link profile. It is important that you and your developers are aware of the pages that are being linked to your site, and where exactly these links lead. Incorporate 301 redirects to navigate users from your old URLs to your new ones. Use inbound link analysis tools such as Open Site Explorer, Backlink Watch and Majestic SEO Tools at this stage. 301 redirects are codes that inform the web browser or search engine bots that the content from an old URL has migrated to a new location. Simply put, all your SEO power and ranking from your older pages get assigned to the URLs on your redesigned website. Moreover, it automatically redirects users from your old URLs to the newer ones. Therefore, 301 redirects are not only essential to maintain your Search Brand Equity, but also to direct organic traffic to relevant, functional pages that you have revamped just for your users! These pieces of code also work to redirect cross-domain URLs. Conducting a comprehensive SEO audit prior to redesigning your website is a best practice; it helps you identify the strengths, risks, weak points and opportunities of your web architecture. This assists in determining what aspects of the current website should be migrated, and what should be done away with. An SEO audit also helps create a roadmap for your revamped website, in terms of what you want it to achieve via organic search. Prior to revamping your website, conduct and analyse the output of your current site reporting, specifically on landing pages, main content and referrer reports. 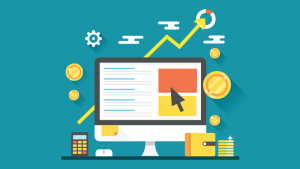 A site reporting analysis will help you identify the top ranking landing pages, which pages gain the maximum user traffic, and which pages rank highest in referrer traffic. This assists in deciding what pages you need to migrate, and what can be left behind. Be on top of your on-page optimization! Optimized content is the life-blood of your website, and therefore, directly affects your SEO ranking. Your new website, in its entirety, must have content that is optimized – titles, meta tags, HTML tags, keywords, links and images – so that you can capitalise on the existing SEO ranking through your newer and improved website. Remember that any good website must have a clean and crawl-friendly structure, relevant and optimized content, a good network of inbound links, and measurable analytics. Hence, when you are revamping your brand, opt for SEO experts. They know the tools of the trade in and out, and will help your brand retain its SEO juice, even after a complete revamp.